Credit cards have become too easy for most people. Credit cards let people buy things now and pay for them over months or even years. But some people get deep into debt. And critics say some banks have terms and charges that can make it harder for people to pay off that debt. In the United States, there are calls for stronger government supervision of the credit card industry. Credit cards have been heavily marketed through the mail and at stores. They offer economic power at a price. In two thousand four, Americans had about eight hundred billion dollars in credit card debt. Now they owe about nine hundred sixty-eight billion. The average interest rate on those cards is currently thirteen and a half percent. Critics say banks made it too easy to get credit cards. But that may be changing. The crisis in the housing and credits markets is beginning to affect the credit card industry. More payments are late. Charges for late payments are a growing source of profit for banks. But late payments can also signal bad debts. The central bank, the Federal Reserve, says two-thirds of American banks have recently reported tighter lending requirements. Many people report having their credit limits reduced without warning. Some lawmakers are concerned that cardholders do not have enough protections from what critics say are abusive policies. These include actions like raising interest rates because of an unrelated event – like a missed payment on another debt. Also, banks may raise the chances of a late payment by changing monthly payment dates for credit cards. Congress has been considering bills to increase cardholder protections. The industry sees no need for more rules. Eighty-two percent of Americans think credit cards provide a valuable service. But a majority, fifty-eight percent, say they do not trust credit card companies. And three out of four think the government should regulate the industry more closely. These are among the findings released this week from a national survey. 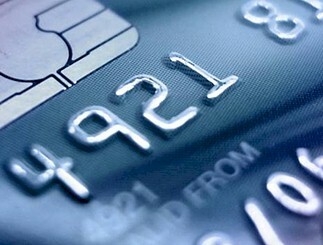 CreditCards.com, an online marketplace, reported the findings based on a thousand adults. Three out of four people feel there is always some condition that makes a card less appealing than the company made it sound. And a little more than half say they have had a card that was not as good as they expected. But close to eighty percent say no one really reads the terms and conditions when they sign up for a credit card. GLOSSARY: let: les permite; pay for them: pagarlas; even: incluso; get deep into debt: se endeudan excesivamente; charges: cargos, cobranzas; make it harder: dificultar; pay off: liquidar, cancelar; calls for: apelaciones, pedidos; stronger: más fuerte, más sólida; heavily marketed: ampliamente promocionadas; stores: tiendas, negocios; offer: ofrecen; price: costo; about: aproximadamente; owe: deben, adeudan; average interest rate: tasa de interés promedio; currently: actualmente; made it too easy: facilitan demasiado; may be: puede estar; housing: inmobiliaria; payments: pagos; late: demorados, atrasados; growing source: fuente en crecimiento; profit: ingresos, beneficios, ganancias; signal: indican; reported: informado; tighter: más severas; lending requirements: exigencias para préstamos; without warning: sin aviso previo; lawmakers: legisladores; concerned: preocupados; cardholders: portadores de tarjetas de crédito; enough: suficientes; policies: políticas; because of: a causa de, debido a; unrelated event: hecho no relacionado; monthly: mensuales; bills: proyectos de ley; increase: aumentar, incrementar; provide: brindan, proveen; valuable: valioso; majority: mayoría; trust: confían en; three out of four: tres de cada cuatro (consultados); should: debería, tendría que; closely: más de cerca; among: entre; findings released: descubrimientos liberados al público; survey: encuesta; marketplace: sitio de compras; less appealing: menos atractiva; sound: parecer; more than half: más de la mitad, más del 50%; close to: cerca del; sign up: se registran, solicitan.